This entry was posted in Main Page and tagged complexity, development, review by Diane Coyle. Bookmark the permalink. Thanks for the thought-provoking review. I think this is the central challenge we face – how to balance the discovery and exploitation of causal patterns whilst paying attention to novelty and emergence. In a sense, they are contradictory. If we only ever do anything that’s evidence-based, how can we innovate? The analogy Tim Harford makes in ‘Messy’ to simulated annealing is useful. Are we climbing hills, or making leaps to find new, unexplored areas? Good quote – thank you. Interesting stuff. We addressed some similar issues when looking at well performing public agencies in developing countries and the oroblem of “islands of excellence”. The real trick seems to be how to create soaces for such successes and then how to use them to lever change? 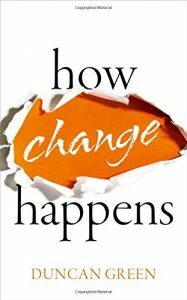 Big efforts at ‘whole systems’ change usually fail. Matt Andrews and colleagues work in this addresses same set of probkems through their Problem Driven Iterative Adaptation (PDIA) approach https://www.hks.harvard.edu/centers/cid/publications/faculty-working-papers/cid-working-paper-no.-240 . Interesting. Thank you for the link Colin.